Call me shallow, but one of the first things that I thought about after finding out that I was pregnant was the fact that I could now get a Mamaroo! I have been drooling over this swing/bouncer for over a year now just wishing I had a baby so that I could buy one. I mean just look at it! It is modern, yet functional all at the same time. The only infant seat that moves “like you do,” the 4moms MamaRoo is now available with an ultra-soft plush seat fabric that’s even more comfortable for your baby. The plush seat is machine-washable and easily zips in and out of any MamaRoo, and the reversible toy balls are one-, two-, and three-eyed monsters in colors that match the plush patterns. We have a very small house, and anytime I can combine two or more baby products into one, the happier my husband is with the lack of clutter. This remarkable seat combines a bouncer and a swing along with the movements that parents make when holding their baby. 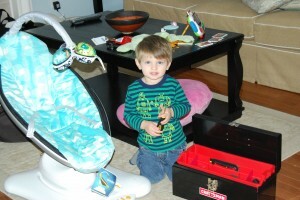 Here is my little man who helped mom put together the Mamaroo. It was an extremely easy process to put the seat together. I usually leave all of the set up for my husband, but this was so easy that TJ and I had absolutely no problem setting it up in about 5 minutes. 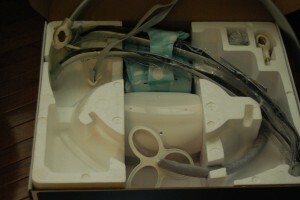 The seat comes packaged in a very small box. I was surprised at how compact the box was, but everything was in there! Here is our gorgeous tester! 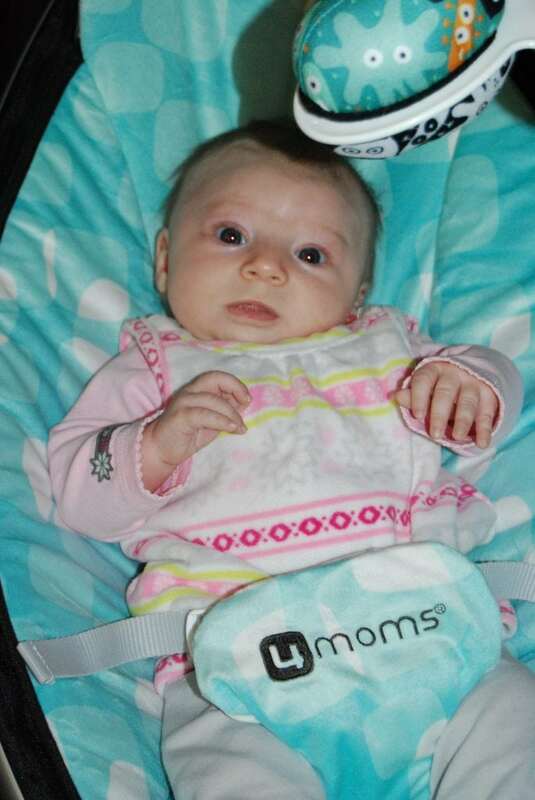 This little lady has been enjoying the Mamaroo for the past month. I figured that I needed to be selfless and let other babies test out and try this fabulous seat before my little girl comes in May. My friend graciously allowed me to come over and drop it off for her little one to try out. The mobile caught her attention right away. On one side of the mobile is black and white (for the newborns) and the other side is a very colorful display of aliens. They are soft so that if baby pulls them out they won’t get hurt. 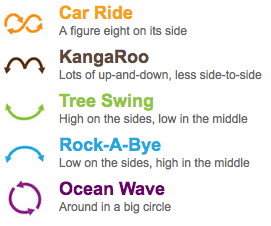 The Mamaroo moves in 5 different motions. Our little tester seemed to like the bouncing motion of the KangaRoo the best so far. While there are several different speed options both of us moms wished that it could have been a little bit faster on the highest speed. 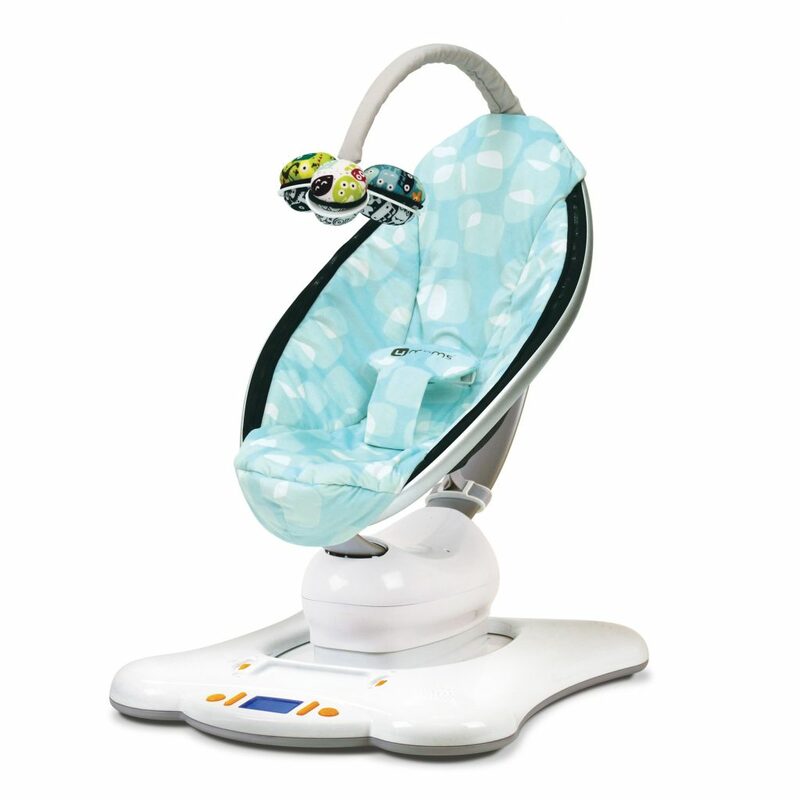 The Mamaroo also has built in noise machine with different nature sounds. 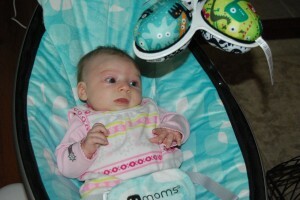 However, one of the most ingenious options is to hook your iPod up into the Mamaroo and play whatever songs you choose. My husband likes this feature as he is constantly introducing our son to all types of music. I am sure our little girl will benefit from dad’s playlist as well. Most of my favorite features are the practical ones. I love that the seat is machine washable and can be easily zipped out for a quick wash. I also love that is much smaller than a typical swing, taking up a lot less space in the house. Finally, I love how the seat mimics parent movement allowing even the fussiest infants to relax and fall asleep. It is an investment. 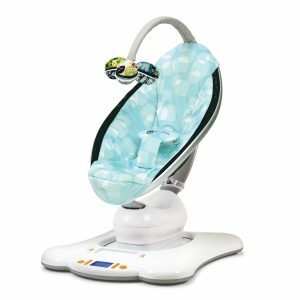 The Mamaroo plush retails for $239.99 at stores nationwide. I think that it is worth it for the fact that it does replace both a swing and a bouncer and the plush fabric is a must for little babies. I do wish that there was a faster speed, but this is a minor thing that probably won’t make a huge difference for infants, but if your looking for the speed of a swing, it isn’t there. Be sure to visit 4moms and check out all of there ingenious products including the new Origami, a state of the art stroller that automatically folds for you! 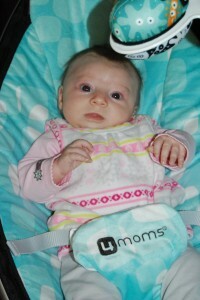 One (1) lucky reader will win a Mamaroo of their very own in their choice of fabric! List this giveaway on any giveaway site, or share on Facebook. Please leave a comment about each entry, include a valid email address or you may contact me directly with your contact information. This giveaway will end at midnight on April 2. Winner will be picked from Random.org. Open to US residents only. Good Luck! This product review and giveaway was made possible by 4Moms. I was not compensated for this review other than a product sample and prize package shown. All opinions are 100% mine. I like the Green Jacks! I like the Silver Fireworks fabric! I love the silver fireworks and paint dots. Hard choice! I subscribe by email ! I like the paint dots! I like the silver fireworks and the painted dots.. hard to choose. Ohh I love the paint dots! what an awesome sounding product!!! I would love the Pink Chocolate Mamaroo. Following A Mom’s Impression on FB! The Silver Fireworks is my favorite! I would choose Paint Dots in Plush. Following on Twitter as dholder3 and tweeted. I would love to have one of these for my little boy that is due to arrive in May, and I would pick the Blue Clouds. Thank you so much! Would love one in Silver Fireworks! The Silver Fireworks is my favorite pattern. I like the Silver Fireworks print best. I like the Silver fireworks print. I like 4 Moms on Facebook as Jan Messali. I follow you on Google+ as Jan Messali. I follow 4Moms on Twitter as janj4c. Love the mamaroo! We have a pink one….now we need one for a boy…maybe green!!! following a moms impression on facebook! commented on Chocolate and Peanut Butter Popcorn. MY BABY IS DUE AT THE END OF APRIL AND I HAVE WANTED A MAMAROO SINCE I FOUND OUT I WAS PREGNANT….BUT WITH MY HIGH RISK PREGNANCY I CAN’T WORK RIGHT NOW AND ON MY HUSBANDS INCOME ALONE WE ARE UNABLE TO AFFORD ONE. BUT I CAN ALWAYS DREAM AND THANK GOD FOR GIVEAWAYS LIKE THIS!! OUR DAUGHTER BABY MYA, WOULD LOOOVE A SILVER FIREWORKS MAMAROO!!!! WISH US LUCK!!! I like the Silver Fireworks! ANY COLOR WILL DO AS LONG AS ITS A MAMAROOOOOOOOO!!! 4MOMS HAS AMAZING PRODUCTS…PRAYING OUR FAMILY WILL GET TO ENJOY ONE BY WINNING THIS GIVEAWAY!! Following you on Twitter as catholicfanatic and tweeted. My favorite is the silver fireworks!!! Like 4 moms on Facebook. I would choose Paint Dots for the fabric! Following A Mom’s Impression on Facebook. Following @amomsimpression on Twitter (@ljca79). Commented on your post – “Bellies and Kites.” I am glad to have found you! I would choose the paint dots print. I commented on the Wordless Wednesday – My Little Race Car Driver post. I would love to pick Paint Dots fabric if I win, thank you. I would love to have a Mamaroo in Silver Fireworks! I like the paint dots fabric. I have added you to my Bloggers circle on Google+. LaVonne L is my Google+ name. I now follow 4Moms on Twitter. @longwait4bella is my username. I would pick the Silver Fireworks for my grandson. I started following your page on twitter @maybedonnie and I retweeted the tweet from your tweets. My pick would be Silver Fireworks! I’m a 4moms fan on Facebook (Lisa L). I’m a Google + follower (Lisa L). I’m a 4moms follower on Twitter (MsTylerpants). I would choose Silver Fireworks!